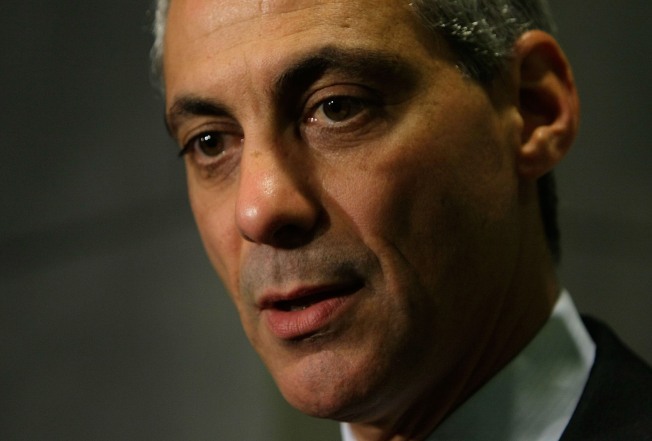 In a 2-1 vote, an Illinois Appellate Court on Monday overturned a Chicago Board of Elections decision to allow Rahm Emanuel on the ballot in the race for mayor of Chicago. The dissenter: Judge Bertina Lampkin, who argued the majority redefined the meaning of words, created new standards and incorrectly applied the law in reaching their decision (.pdf). "... the majority, completely unsupported by citation to any case law, arrives at different meanings for the terms "residence" and "has resided in" ...," she wrote. "...if the legislature had inteneded the phrase "has resided in" to mean actually lived in, as the majority proposes, then the legislature surely would have chosen to use the more innocuous word live rather than the verb reside and the noun residence, which are charged with legal implications." "The majority attempts to support its creation of a completely new candidate residency requirement with an exhaustive (or, rather, exhasuting) discussion of...Municipal Code regarding the military exception. The candidate here was not in the military and did not attempt to claim an exemption..."
"It is patently clear that the majority fails to even attempt to define its newly discovered standard because it is a figment of the majority's imagination. How many days may a person stay away from his home before the majority would decide he no longer "actually resides" in it? Would the majority have us pick a number out of a hat? A standard which cannot be defined cannot be applied." "The Majority's decision disenfranchises not just this particular candidate, but every voter in Chicago who would consider voting for him." Lampkin, who was appointed to the court in september 2009, said the majority's decision "involves a question of such importance that it should be decided by the supreme court."